Las Vegas band The Killers formed in 2001 and are fronted by Brandon Flowers. They released their debut album “Hot Fuss” in 2004 which featured arguably the band’s biggest hits “Mr Brightside” and “Somebody Told Me”. 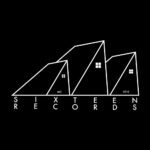 Introducing Leeds electronica label: Sixteen Records"
Introducing Leeds alternative and electronica label: Sixteen Records. Bryony Hegarty interviews label founder Lotte van den Berg for Louder Than War. 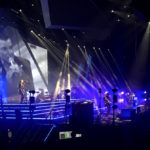 The Killers: Metro Radio Arena, Newcastle – live review"
The Killers stop off in Newcastle and blow the roof of the Metro Radio Arena in Newcastle with a plethora of new and old tracks! The Coffins ‘Bob’s Shed’ – album review"
Violence, style, alcohol and a darkly humorous attitude inform The Coffins. Just a wee bit like the city they come from. The Killers: Manchester Arena – Live Review"
In November, The Killers’ Manchester gig was abruptly halted due to illness. This week they returned, and there were a few nods to the city they love. Queens Of The Stone Age and Killers to headline Benicassim"